This year we are super excited to have Leanthony “AJ” Edwards come and speak to our folks at Vector this year! Leanthony is a lawyer out of Cincinnati and will be talking about how to protect yourself and your game from an IP standpoint at the outset in order to save time and money. 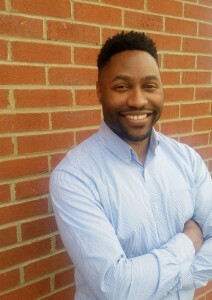 Leanthony (“AJ”) Edwards is a Cincinnati based attorney who helps developers, entertainers and content developers navigate all legal issues related to intellectual property, advertising, licensing, data privacy/cybersecurity, and other tech related transactions. He is passionate about the gaming community so you might spot him at various local conferences in addition to GDC or Gamesforum. As an avid Gamer, he swears by Baldur’s Gate II: Shadows of Amn as the best game of all time and will articulate the elements that make the game great if pressed. If you’re interested in Leanthony’s talk on Saturday, check out our event this year! Be sure to check out our ticket page and pick up your tickets for this years event! Vector 2019 is April 26-27! This year we’re incredibly psyched to have Phil Profitt, an Xbox Account Manager with Microsoft and Kentucky Native, to speak at Vector 2019! 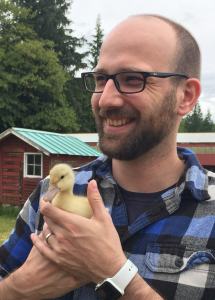 Phil Profitt is currently a developer account manager for Xbox at Microsoft, and has been working in the games industry for 10 years now. 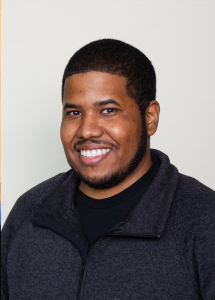 He grew up in the middle of nowhere in Bourbon County, KY. After graduating from University of Kentucky as an electrical engineering major he made his way to Tokyo, Japan to work in the games industry as a software engineer. Recently becoming a father, in his ample free time Phil loves playing anything developed by FROM Software, and enjoys all the amazing Pacific Northwestern outdoor activities. In his profile picture you can see him spending time on his childhood friend’s farm in the Seattle area. Again, we’re super excited to have Phil attend this years event! Be sure to check out our ticket page and pick up your tickets for this years event! Vector 2019 is April 26-27! This year we’re pleased to announce that Christopher Totten will be joining our speaker list! Christopher will be speaking on Level Design and Architecture, and we’re excited to have him this year. Christopher Totten is an Assistant Professor in the Modeling, Animation, and Game Creation program at Kent State University. 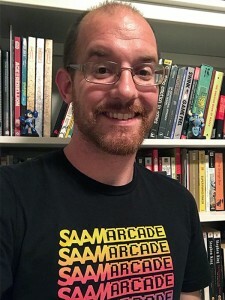 He is the founder of Pie For Breakfast Studios, an award-winning Northeast Ohio independent game company, and has done work as an artist, animator, level designer, and project manager in the game industry. He holds a Masters Degree in Architecture with a concentration in Digital Media from the Catholic University of America in Washington, DC. 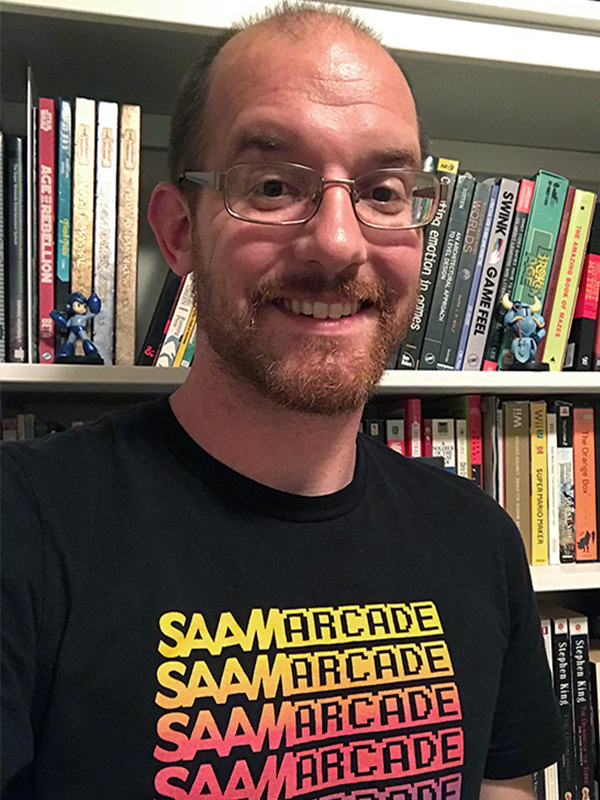 Chris is an executive organizer for the Smithsonian American Art Museum (SAAM) Arcade and lifetime member of the International Game Developers Association (IGDA). Chris has written articles featured on Gamasutra, Game Career Guide, and other publications and is a frequent speaker at game industry conferences such as GDC, East Coast Game Conference, GDEX, and others. He is the author of An Architectural Approach to Level Design, published in its second edition in 2019 and Game Character Creation in Blender and Unity, released by Wiley Publishing in 2012. He is also the editor of the collected volume, Level Design: Processes and Experiences. Interested in this talk and others like it? Be sure to check out our ticket page and pick up your tickets for this years event! Vector 2019 is April 26-27! This year we’re pleased to announced the involvement of Epic Games, and specifically Unreal Engine Evangelist Christian Allen! Christian will continue with the fantastic workshops and talks about the Unreal Engine. Christian Allen is an experienced and BAFTA award winning AAA game designer and creative director. 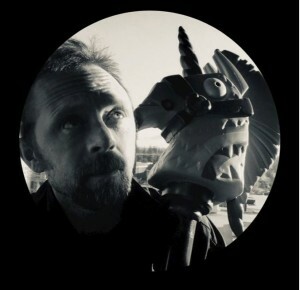 Prior to joining Epic Games as the Unreal Engine Evangelist for North America, Christian served as Lead Designer, Creative Director, and Design Director of several AAA game projects for Ubisoft, Red Storm Entertainment, Microsoft, Bungie, and Warner Bros. Games; as well as running his own indie development studio, Serellan LLC, which shipped multiple titles on console, PC, and VR. 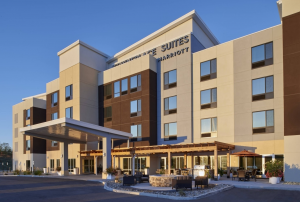 For this years event we have two potential blocks of hotel rooms that conference attendees can book at a different rate, and they have guaranteed block of rooms available for attendees. This year we’re really excited to announce the attendance of Google Cloud Developer Advocate Jon Foust! Jon is a talented member of the Google team and will be attending for his first year this year to give some talks on subjects on how the cloud can benefit game developers. His bio: Jon is a Google Cloud Developer Advocate focused on Cloud Gaming. He enjoys helping developers use Google Cloud APIs easily within Unity. In his spare time, you can find Jon playing Volleyball, Baseball/Softball, and as you probably have guessed… Games! His passions are using the cloud to break barriers that divide gamers. We are super happy to have Jon attend this years event and look forward to what he’s going to bring to Vector 2018! If you’re interested in attending Vector this year, don’t forget to grab your ticket today! For the fourth year in a row we are incredibly pleased to announce a partnership with the phenomenal organization “I Need Diverse Games” to help cover the costs of diverse applicants in their attempts to make it to Vector ’19! This scholarship helps cover ticket admission costs for any participants who would like to come (lunch is provided as well through the ticket price) and we hope that this eases a pathway for anyone who is on the fence on attendance. I Need Diverse Games via all associated platforms and members; including but not limited to: Twitter, Facebook, Google+, and other mediums seeks to bring projects, works and research by marginalized folks to light. We also seek to discuss, analyse, and critique identity and culture in video games through a multi-faceted lens rooted in intersectionality. We are very excited to once again be working with an organization that seeks to promote underserved and marginalized voices in the game industry. If you’re a person who feels that they identity under that banner (be it through sexual orientation, gender, skin color, etc) please contact us. If you, or anyone you know, is interested in coming to Vector 2019 and doesn’t yet have a ticket please let us know at vector (at) runjumpdev.org. If you do not currently have a ticket for Vector 2019 and would like to purchase one, you can do so here. Are you interested in speaking at Vector 2019? Have a talk that you’ve always wanted to give, want to test your talk before a small and companionable audience? Have a project you want to give a postmortem on? We’ve had a history of great talks from a variety of talented speakers, on subjects from IP Law to creating a constructed language for Far Cry Origins. We are incredibly open to suggestions and would love to hear what talks you’d like to give at this years event. Our event is divided into two days — April 26 (Friday) is student and workshop oriented. On days like this we’ve had talks on Construct 2, long form workshops on VR development and Unity and many, many more. April 27 (Saturday) is our professional day and is where we’ve had talks on more advanced Unity subjects, business development and more. If you have any questions, be sure to reach out to us through the contact form on the site or through social media, we’re always happy to help. Hello folks! This year we’re pleased to announce the return of one of our favorite previous speakers: Lisa Brown! Lisa Brown has given some of our best talks over the year, on subjects like putting more juice in your game and long term planning for game designers. Lisa has worked for years in AAA and indie development and we are super pleased that she will be joining us for our 2019 event! Lisa Brown is a senior game designer, currently on the Sandbox team at Bungie. She was formally a designer at Insomniac Games and a graduate of Carnegie Mellon University’s Entertainment Technology Center, and also worked as a level designer with Heart Machine on Hyper Light Drifter. As an indie, she released several experimental personal games, livestreamed game development and game design analysis, and did an academic residency at Harrisburg University. Lisa loves advising students, participating in game jams, and deep diving on design analysis. If you’re also pretty pumped to see Lisa at this years event, be sure to grab your ticket here! 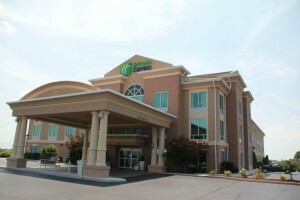 Contact us for more information on group rates, educational and diversity discounts! Tickets are now available for Vector 2019! Vector is a game conference held at Eastern Kentucky University in collaboration with the EKU Gaming Institute and RunJumpDev. In its fourth year, Vector is a celebration of developers from the midwest and southeast United States, and allowing them a chance to network with leaders and peers ​in the field of game design and development. This year will again feature a 2-Day format, with the first day focused on education and day two featuring more professional development for regional game developers. Have a question or want to sign up for our email list? Do that here.